PBS has taken advantage of this decade’s boom in streaming services for its children’s programming arm, PBS Kids. Starting around 2013, PBS Kids began offering a dedicated app for Roku, and soon expanded its app to other devices (such as Apple TV), as well as Android and iOS. In early 2017, PBS Kids also launched a 24-hour digital subchannel for over-the-air PBS outlets, plus as a live stream through the PBS Kids app. Here’s my thoughts about the PBS Kids streaming service. PBS Kids app on the Fire tablet. Like the over-the-air PBS network itself, PBS Kids’ streaming service is free. 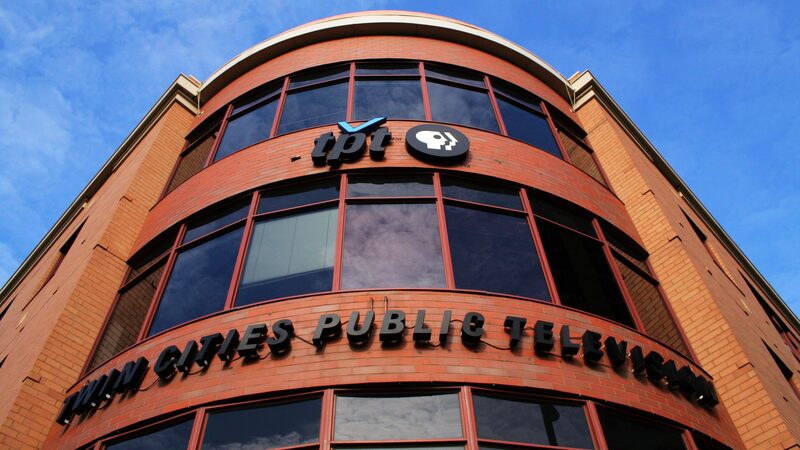 A section for “grownups” does offer users the ability to donate to a local PBS station. PBS Kids is available on pretty much every platform, including: Roku; Apple TV; Fire devices; Android and iOS apps; and through any web browser. 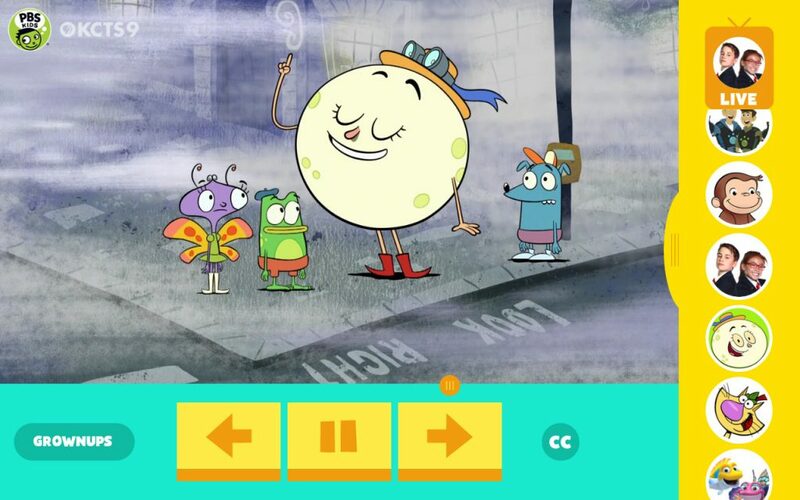 Similar to services like Netflix, PBS Kids’ app is pretty easy to use, including by children. Shows are clearly labeled with the characters, and are listed in a large grid. Like its broadcast TV counterpart, PBS Kids’ streaming service doesn’t carry commercials, save a “viewers like you”/corporate donor spot at the beginning of some episodes/shows. No doubt parents will find this a welcome change from Disney Channel, Cartoon Network, and Nickelodeon. PBS Kids doesn’t carry entire seasons of shows. For most of the shows, a selection of four full episodes are offered, plus various clips of other episodes. A new episode is added (and the oldest episode deleted) once a week. A few of the older series only offer clips, rather than full episodes, through the PBS Kids app. One such show is “Clifford the Big Red Dog,” from the early 2000s. Fortunately, the PBS Kids live stream also carries “Clifford” episodes. Unlike Netflix, there’s no way to create a playlist or bookmark of favorite shows. This probably won’t matter for kids using it, who’ll just click on their favorite characters. The app does automatically play the next episode available when an episode is finished, which some might find useful. PBS Kids could do a better job of advertising that their streaming service is free. I’ve seen a few people mistakenly think there’s a charge for the service. Granted, PBS’ advertising budget likely doesn’t match a commercial broadcaster’s budget. A “grownups” section is available in PBS Kids’ app. Said section provides: details on the show being streamed; a schedule of upcoming shows for the live stream; the ability to select/change your local PBS affiliate; the ability to purchase a show on DVD; and donating funds to your local PBS station. Is PBS Kids worth it? PBS Kids is definitely worth adding for parents looking for noncommercial/educational programming for their children. All of the shows are kid-friendly, and are well done. Additionally, PBS Kids is also free, so there’s no harm in installing its app alongside Netflix, Hulu, etc. For those looking for entire seasons of PBS Kids’ shows, Amazon Prime Video carries such, both on its Prime Video service and as a season purchase. Netflix also carries some PBS Kids programs.